Most of us should remember the TV footage flashed around the world on the 13th of January 2009, which showed U.S. Airways flight 1549, an A320 Airbus, landing in the Hudson River, New York, with no loss of life. From take-off to splash-down, the flight only lasted five minutes. It was dubbed "the Miracle on Hudson". As the story goes, the pilot, Captain Chesley Sullenberger III, with co-pilot Jeffrey Skiles, saved the lives of 150 passengers that day by using his piloting skills, and casting of distractions. They became national heroes; the newest stars in American aviation folklore. The plane had encountered a pack of Canadaian snow geese two minutes into its flight path and the engines conked out. 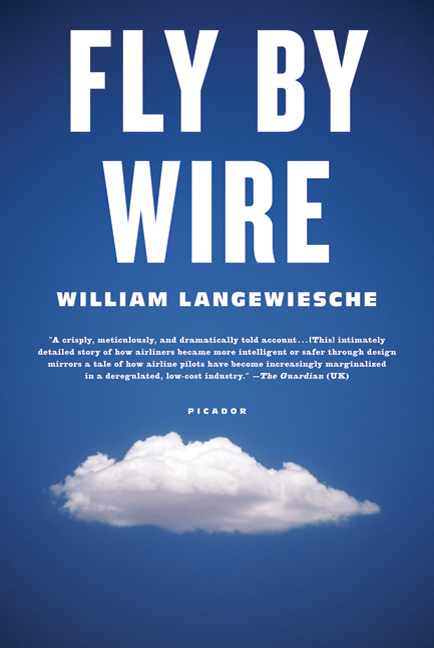 The 'Fly by Wire' of this book's title refers to the automation technology that allows pilots such as Sullenberger to accomplish huge human feats, such as conquering engine failure, while avoiding more menial piloting tasks (like keeping the plane steady). In essence, the contention in Langewiesche's book is that the soft landing of the plane was more of a team effort: the result of Sullenberger's skill combined with fly-by-wire technology and a former test pilot named Bernard Ziegler. This little gem of a book will give you a second by second account of the flight and what transpired on the flight deck with the cabin crew and the passengers. But it will also take you further into the world of aircraft engineering, construction and computers. It will take you into airline deregulation and the position commercial airline pilots have to face today. When I first took a long-haul flight out of Australia, it was on a Qantas Super Constellation, a propeller-driven four-engine aeroplane. It probably had a flight deck crew of pilot, co-pilot, flight engineer, navigator and, more than likely, a back-up pilot. Today, on the new generation Boeing and Airbus aircraft, you only need a pilot and co-pilot. Computers fly the aircraft 98 per cent of the time. Should they? 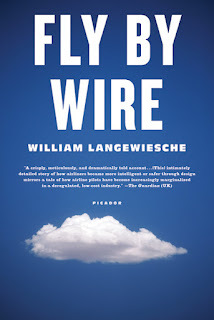 Langewiesche tackles his subject matter journalistic aplomb, addressing the intersection between man and his inventions. Neither, we find, are infallible. This book is only about a three-hour read, so if you're a public transport commuter, stick it in your satchel or bag. Time will fly.